New York City is great. Despite many innovations in technology, people come here to worship the electric light. 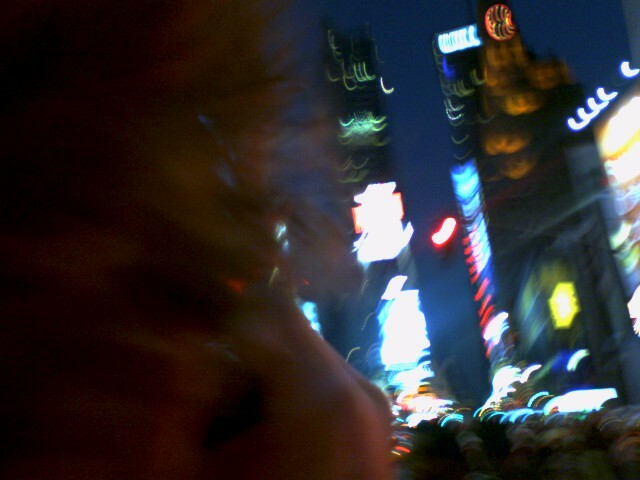 They stand in Times Square, the place in which capitalism and marketing assume a fat wad of the third dimension, and take pictures of each other. 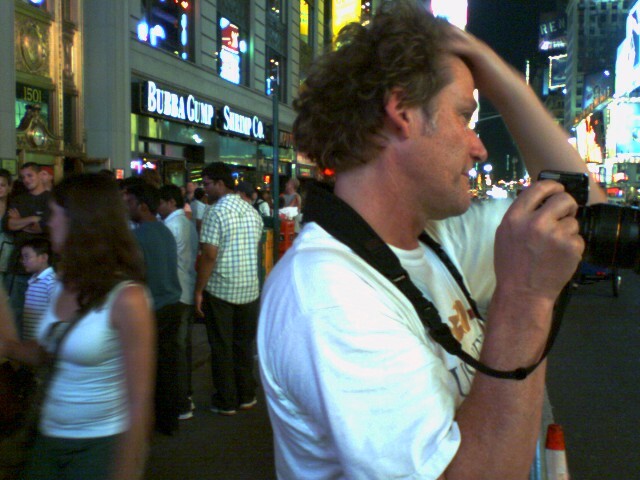 True to form (because “they” is “we”), I took pictures of The Scout in action in Times Square last night. The Scout had a tough time. This entry was posted on 13 August, 2007 at 6:19 am and is filed under Travel. You can follow any responses to this entry through the RSS 2.0 feed. You can leave a response, or trackback from your own site. I love all the bright lights. Whenever I go to NYC, I go to Times Square. I heard a rumor they’re going to put an In N Out in Times Square. Ah, fun. New York is another place I miss. I hope you had a blast!